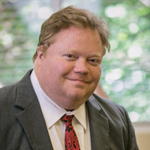 Christopher Kiesel serves as Senior Portfolio Advisor for Oak Advisors, LLC. Mr. Kiesel has a Bachelor of Arts degree majoring in Economics from Rutgers University. Chris has earned the right to use the Chartered Financial Analyst® designation and is a licensed Investment Advisor Representative. Before the formation of Oak Advisors, Chris was employed with The Wealth Management Group as portfolio manager and a registered representative. Chris was also portfolio manager with Lighthouse Investment Advisors, a registered investment advisor, which provided investment management and financial planning services to high net worth individuals. Prior to Lighthouse, he was a vice president for American Economic Planning Group in Watchung, New Jersey. Mr. Kiesel’s investment expertise includes tax sensitive portfolio management, securities and economic analysis, and market strategy. Originally from New Jersey, Christopher has lived in Hilton Head Island since 1999.